The fact that three home riders hold live chances of making the 2014 Tour de France’s podium gives some indication as to the chaotic openness of this year’s renewal of world cycling’s main event. Bernard Hinault’s fifth and last Le Tour victory came 29 years ago, and no home challenger has made the top three since Richard Virenque, all the way back in 1996. A great weight of expectation falls on the shoulders of Jean-Christophe Peraud, Romain Bardet and Thibaut Pinot, but with this Tour proving the most unpredictable since the US Postal era began in 1999, a little creativity is required when choosing a likely winner of the mountainous Stage 17. 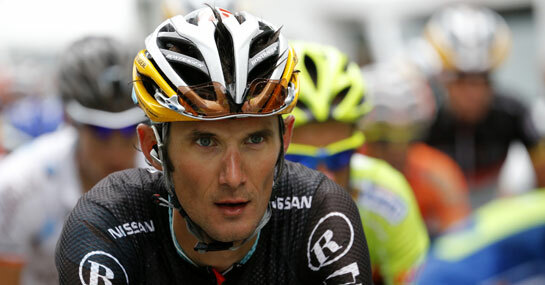 Three-time top-five finisher Frank Schleck may no longer have the stamina to bother the podium, and the withdrawal of younger brother Andy – who won the Tour in 2010 – will have thrown Trek Factory Racing’s overall strategy into disarray. However, the 34-year-old took this stage back in 2009 – one of only two he has ever won at the Tour de France – and the 40/1 available about a repeat five years on from Schleck, who ended up taking it somewhat easy during Stage 16’s first day in the Pyrenees, looks a handsome wager. Another big-priced challenger who could put in a solid shift is 66/1 Stage 17-shot Nicolas Roche, the son of legendary Irish cyclist Stephen, who pedalled into Paris decked out in triumphant yellow back in 1987. Roche Jr currently sits in 24th place in the Mountains classification table after a fine climb behind teammate and stage winner Michael Rogers yesterday. The 30-year-old France-born Ireland representative has finished in the peloton’s top 40 in each of his five attempts since 2009, with a 12th-place finish two years ago his best thus far. At the very least, punters can expect a fine run for their money from Roche between Saint-Gaudens and Saint-Lary Pla d’Adet.